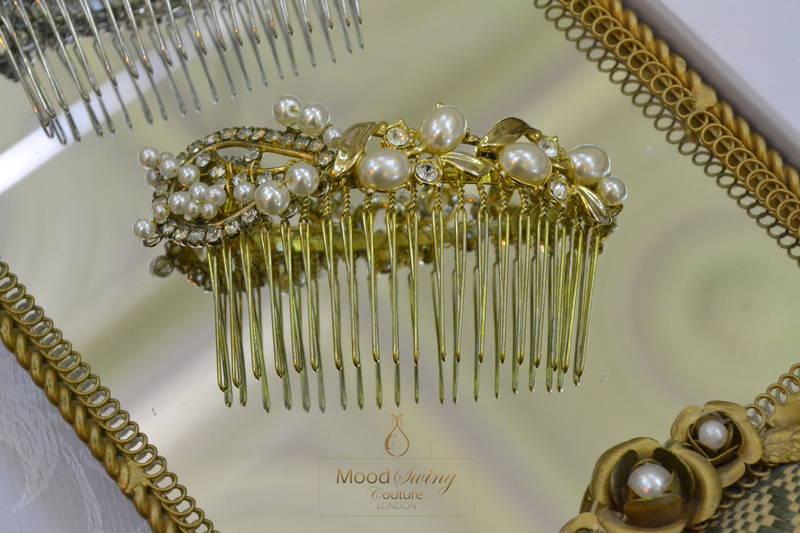 When you think of Mood swings the first thing that comes to mind is generally not vintage jewellery, however Mood Swing Couture London bring a whole new meaning to the word with vintage sparkly pretty. 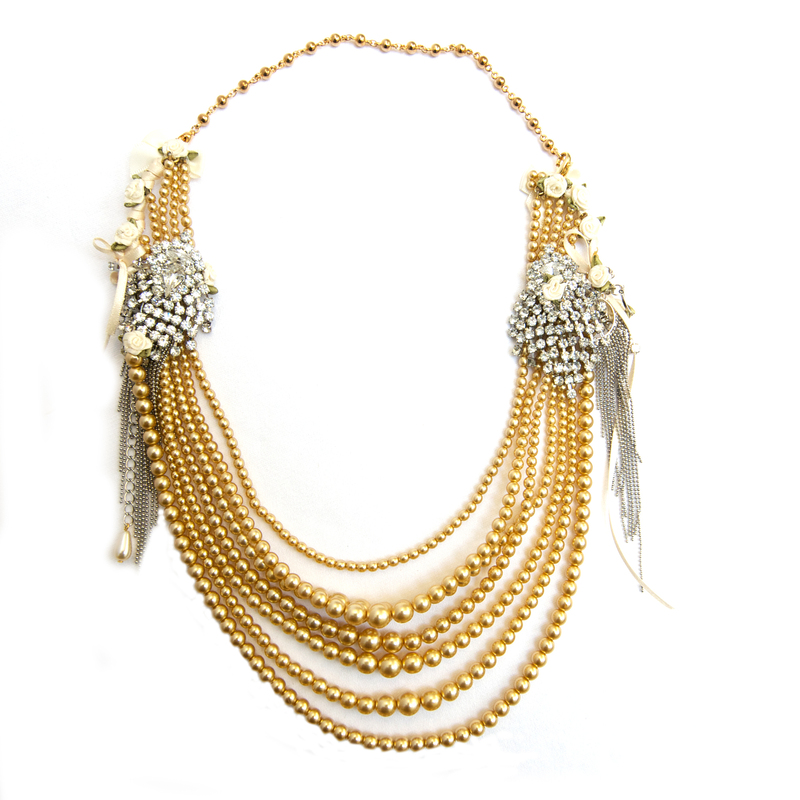 Tohid and Taseen are a mother and daughter team who absolutely love making one of a kind couture accessories together. 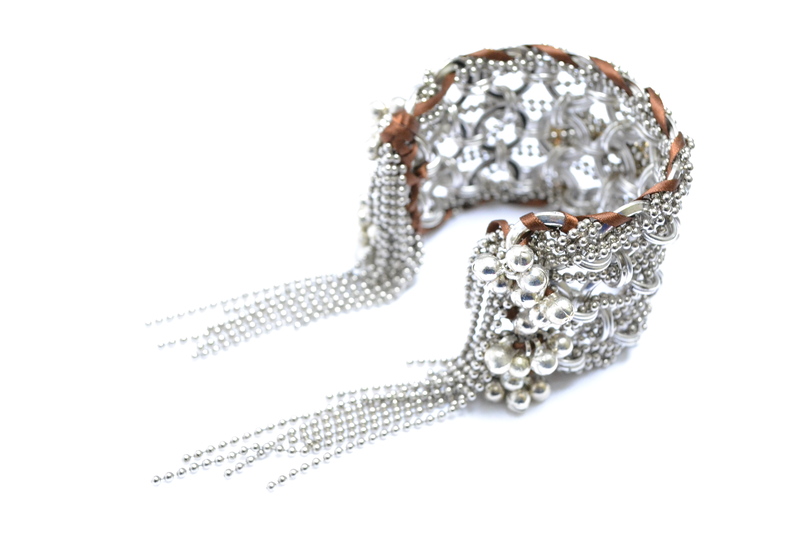 Their bespoke products range from jewellery and hair accessories to veils and handbags. 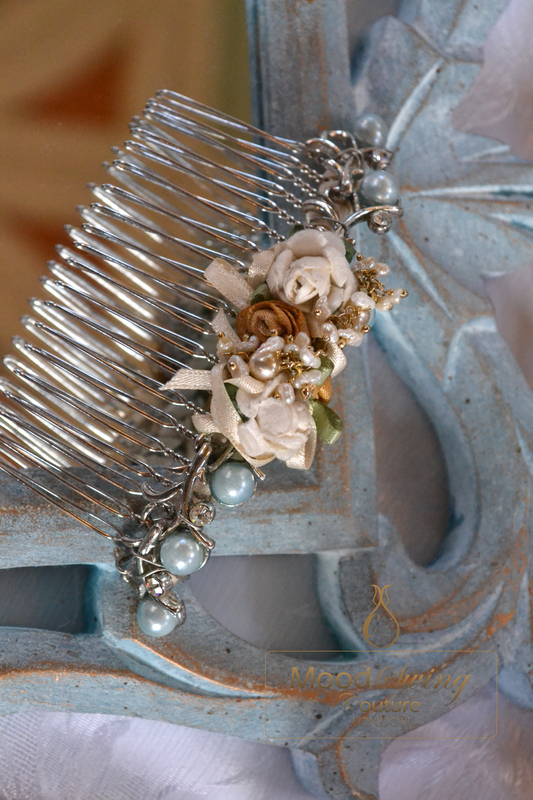 The company began from a simple desire to create heirloom pieces from vintage treasures and a collection of materials spanning over 40 years. 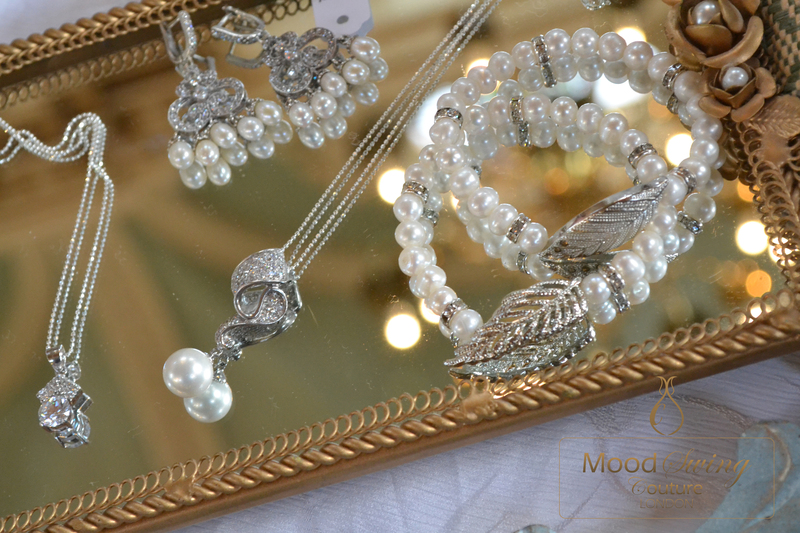 As a designer and dressmaker, Tohid has accumulated sumptuous silks, laces and jewels over the years and one day Taseen decided to craft these luxurious materials into accessories to be cherished for many more years to come and to be passed down through generations. 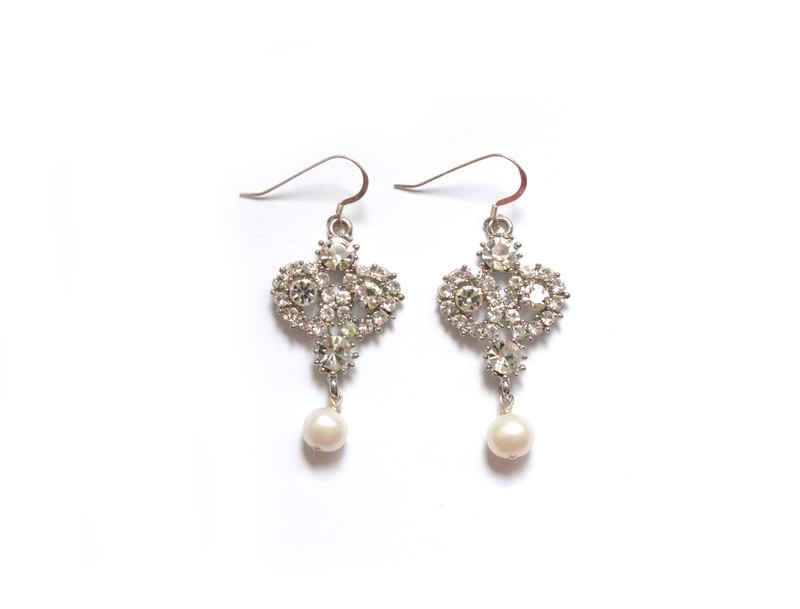 The fabrics and jewels of yesteryear conjure images of vibrant histories and romantic lost eras. Although vintage materials are a prominent feature in most designs, modern supplies also accompany many pieces, offering that ‘something old, something new’ in a classic and timeless style. Mostly, ideas for new designs stem from what’s already available. 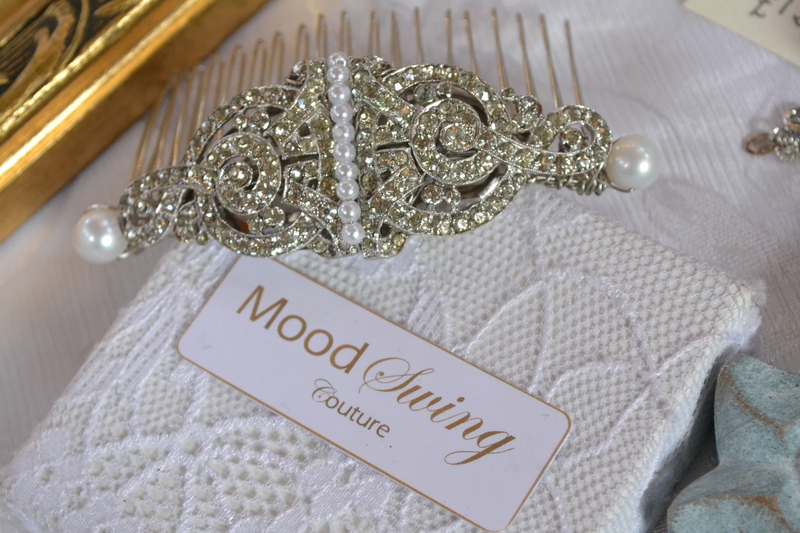 Trends rarely take precedence in new designs, as Tohid and Taseen work through their treasure trove of materials creating one timeless bridal accessory at a time. One of the most delightful things they have done together was designing and making Taseen’s wedding dress. Made from several yards of embroidered silk and hand embellished crystals and appliqué, it was their biggest project, taking over 3 months to make. 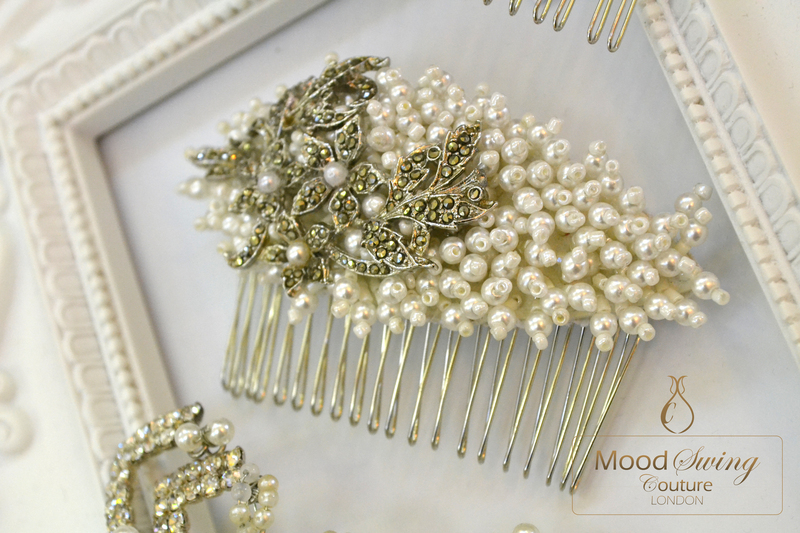 They love working on bespoke designs with brides to create something that they will treasure on the wedding day and beyond. 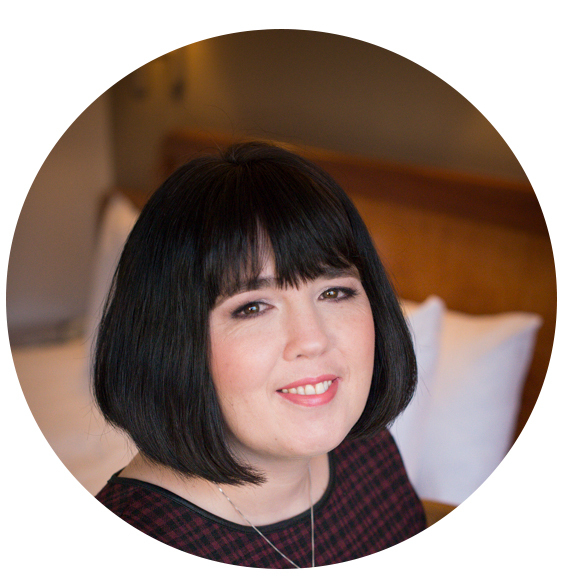 Having recently launched their online boutique, they look forward to reaching out to brides from London and further afield. Thank you so much to Tohid and Taseen for sharing their beautiful work. 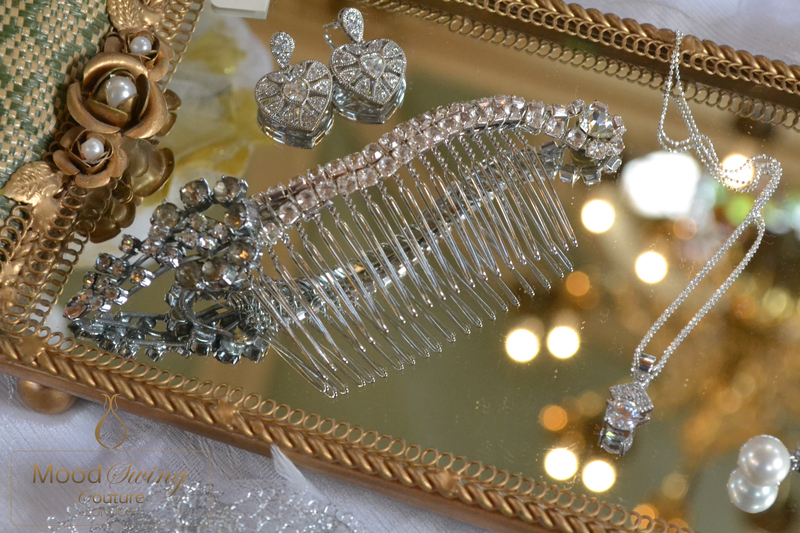 Their vintage jewellery accessories are definetely a wonderful choice for the bold bride wanting a more statement look.